Rev. Dr. Mehrdad Fatehi, the Founder and Executive Director of Pars, is a BMB who served as a pastor and Bible teacher in Iran till the late 80s. He has a BSc in Electronics, a BA in Theology, a post-graduate Diploma in Linguistics & Bible Translation, an MA in Hermeneutics, and a PhD in New Testament from London School of Theology, where he is currently a Research Fellow. 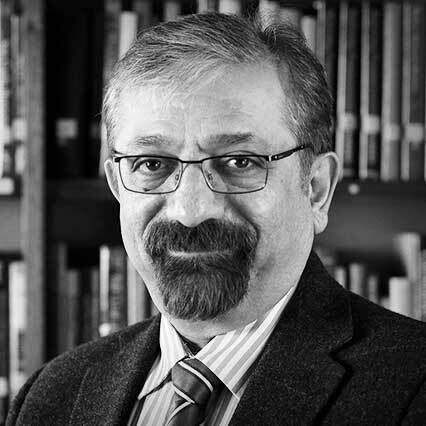 Mehrdad initiated the NMV Farsi Bible translation through a joint project by Elam Ministries and Wycliffe, and served for 19 years as its Coordinator, Exegetical Advisor, and Chief Editor till its completion in 2014. He also served for 10 years as the Academic Dean of Elam College till its closure in 2008 and taught theology to Iranian church leaders throughout the Diaspora. He was the Senior Pastor at the Iranian Christian Fellowship, London, from 2013-2016. He is the author of 3 books and over 35 published articles. He has also translated 7 theological textbooks. Mehrdad Fatehi, The Spirit’s Relation to the Risen Lord in Paul: An Examination of Its Christological Implications, Tübingen: Mohr Siebek, 2000. Mehrdad Fatehi, The Trinity: A Look at the God of the Christians, London: Elam Publications, 2010. Mehrdad Fatehi, Deep Truth: A Study of the Great Foundations of the Christian Faith, London: Elam Publications, 2012. Is Church A Democracy? (A study of leadership structures in the church). Spiritual Gifts: Yesterday and Today (1, 2, 3). The God of the Christians: A Brief Look at the Doctrine of the Trinity (1, 2). Jesus and the Kingdom of God (1, 2). The Christian’s Freedom and Responsibility (A study of the Place of the Law in Salvation History and the Christian Life). If Christ did not rise from the dead! (A study of the meaning and importance of Jesus’ resurrection for the Christian life). You Will Be My Witnesses (A study of the meaning of Pentecost in context). Why did God Become Man (A study of the theology of Incarnation). Another Advocate (A study of paracletos in the Gospel of John). Why All Are Not Healed? (A balanced view of the church’s healing ministry). The God of the Immeasurably More!